Published by Piccadilly Books, Ltd., www.piccadillybooks.com. What If There Was a Cure for Alzheimer's and No One Knew? Dr. Bruce Fife a.k.a. "Dr. Coconut" answers your questions about coconut, diet, and nutrition. I heard that coconut oil will help clear up acne. When I put the oil on my face, my outbreaks increased. Why is that? When people start applying coconut oil to the skin to treat acne they will experience one of two reactions. 1) The acne will clear up nicely without problem. 2) You will experience an increase in outbreaks. The reason for the increase in acne in some people isn't because the coconut oil isn't working; it is. In fact, that is why there is an increase. Coconut oil has a powerful cleansing or detoxifying effect when applied on the skin. If the skin is full of toxins, as is the case for most people who have a problem with acne, the oil will draw the toxins to the surface. As they are purged from the skin, an increase in acne may result. This increase in outbreaks will only last a couple of weeks or so. Once the skin has been cleansed, it will clear up and become acne free. So, stick to it. Keep using the oil until the acne clears up. Diet has a pronounced affect on the health of your skin. Junk foods, bad oils, and such fill our bodies and our skin with toxins that promote acne. If your diet is poor, even if you use coconut oil topically you may experience a resurgence in acne. For acne treatment, apply a thin layer of coconut oil on the face at least once a day. Unlike other oils that leave a greasy layer on the skin, coconut oil is absorbed into the skin. The skin will absorb the oil up to a point, so if you put too much on, it will sit on the surface of the skin for some time before it is absorbed. If you put a thin layer on the skin it will be absorb in just a couple of minutes and will not make your skin or face look or feel greasy. Note to Readers: If you have a question you would like Dr. Fife to answer in a future issue of the Healthy Ways Newsletter please send it to me at the following link bruce@coconutresearchcenter.org. Be sure to have the phrase "Question for Healthy Ways Newsletter" in the subject line. In the last issue of the Healthy Ways Newsletter #5-3, I reported on a new treatment for Alzheimer's disease using MCT or coconut oil which has demonstrated remarkable success. In this issue, Dr. Mary T. Newport, MD describes her personal experience with using coconut oil in treating Alzheimer's disease. There is a growing epidemic of obesity, type II diabetes, cardiovascular disease, and predictions that 15,000,000 people in the United States alone will have Alzheimer's Disease by the year 2050. In 2001, Dr. Richard L. Veech of the (National Institutes of Health) NIH, and others, published an article entitled, "Ketone bodies, potential therapeutic uses. "1 In 2003, George F. Cahill, Jr. and Richard Veech authored, "Ketoacids? Good Medicine? "2 and in 2004, Richard Veech published a review of the therapeutic implications of ketone bodies.3 These articles are not found in journals that the average physician would read, much less the lay public. Unless you are researching the topic, it is unlikely that you would ever randomly come across this information. My husband Steve, age 58, has had progressive dementia for at least five years. He had an MRI in May 2008 showing a diffuse involutional change of the frontal and parietal lobes and moderate left-sided and severe right-sided amygdala and hippocampal atrophy with no ischemic change, which would support a clinical diagnosis of Alzheimer's Disease. For non-medical people, this means that he has shrunken areas of the brain. Many days, often for several days in a row, he was in a fog; couldn't find a spoon or remember how to get water out of the refrigerator. Some days were not so bad; he almost seemed like his former self, happy, with his unique sense of humor, creative, full of ideas. One day I would ask if a certain call came that I was expecting and he would say, "No." Two days later he would remember the message from so-and-so from a couple of days earlier and what they said. Strange to have no short term memory, and yet the information was filed somewhere in his brain. My gut feeling is that diet has something to do with the fluctuation, but what? I knew that he was locked up in there somewhere, if only there was a key to open up the areas of his brain that he didn't have access to. Steve has a BSBA in accounting and did billing, bookkeeping and accounting for my neonatology practice from home, so that he could stay with our girls. He loved computers and was a fast typist. He could open computers up to repair them and fix practically anything else without ever having instruction. If he did not have a tool to do something he would "invent" it and make a usable prototype. He loved to kayak and made an attachment to keep his kayak moving in a straight line. About five years ago he began to have trouble organizing to do his accounting work. He would procrastinate as much as possible. He made mistakes with the payroll and I began to sit with him to help him get it right. I thought it was just that our practice had gotten more complicated with more employees. He knew that something was wrong and depression set in. We took him to a neurologist about 4 years ago, who did a Mini Mental Status Exam (MMSE,) and Steve scored a 23 out of 30, putting him into the mild range of dementia. On this test, the lower the score is, the worse the dementia. His MRI was reported as normal at that time. About three years ago, Steve started taking Aricept and two years ago Namenda. We were hopeful that, if we could slow his decline enough, a treatment would come along that would turn things around for him. He was changed over from Aricept to Exelon in August 2007 after losing ten pounds over several weeks. In the past 12 months there was a noticeable change. He can no longer cook for himself, remember to eat a good meal, use a calculator, or even perform the simplest addition; however, he still keeps busy all day working in the yard or in his garage and he is still in good physical condition. I now do all the cooking for a man who used to cook for his family regularly. I give him the medications, because he can't remember to take them, much less take the right pills. Every night, we hold each other before we go to sleep and I wonder how many more times we will get to do this. It has been a nightmare to watch his decline and feel helpless to do anything but watch it happen. He is fully aware of his dementia, and we talk about it frequently. He is no longer depressed, probably with the help of counseling, Lexipro and Wellbutrin, or maybe worsening of his disease. I subscribe to various alerts and check the website www.clinicaltrials.gov periodically to look for drug studies that he may qualify for. Two years ago we tried to get him into a study for a promising anti-inflammatory drug, Flurizan, but he did not qualify because he had a history of depression within the previous two years. Wouldn't you be depressed if you knew you had Alzheimer's? In fact, depression may be a symptom or precursor of Alzheimer's. Until very recently, I didn't see anything regarding the potential use of medium chain triglycerides (MCT oil), or ketone bodies (also called ketoacids,) the end product of their metabolism, which may not only treat, but also prevent Alzheimer's disease. Further, this is a potential treatment for Parkinson's disease, Huntington's disease, multiple sclerosis and amyotrophic lateral sclerosis (ALS or Lou Gehrig's disease), drug resistant epilepsy, brittle type I diabetes, and diabetes type II, where there is insulin resistance. Ketone bodies may help the brain recover after a loss of oxygen in newborns through adults, may help the heart recover after an acute attack, and may shrink cancerous tumors. Children with drug resistant epilepsy sometimes respond to an extremely low carbohydrate ketogenic diet. MCT oil appears to be useful as an aid in weight loss and body builders use it already to improve their lean body mass (MCT oil can be easily purchased on the internet.) Athletes and soldiers could use MCT oil as a source of fuel when the body runs out of carbohydrates, which occurs rather quickly when food is not readily available. What do these entities have in common? Our cells can use ketone bodies as an alternative fuel when glucose is not available. Brain cells, specifically neurons, are very limited, more limited that other cells, in what kinds of fuel they can use to function and to stay alive. Normally, they require glucose (sugar), but they can also use ketone bodies. Humans do not normally have ketone bodies circulating and available to the brain unless they have been starving for a couple of days or longer, or are consuming a ketogenic (very low carbohydrate) diet, such as Atkins. In Alzheimer's disease, the neurons in certain areas of the brain are unable to take in glucose4, 5 due to insulin resistance and slowly die off, a process that appears to happen one or more decades before the symptoms become apparent. If these cells had access to ketone bodies, they could potentially stay alive and continue to function. It appears that persons with Parkinson's disease,6 Huntington's disease,7 multiple sclerosis,8 and ALS9 have a similar defect in utilizing glucose but in different areas of the brain or spinal cord. About 2 months ago, we took Steve to the Johnny B. Byrd, Jr. Alzheimer's Institute at University of South Florida (USF) in Tampa, Florida for an annual evaluation and screening for a vaccine study (Elan.) He was fasting for blood work and had an MMSE of 12, much too low to qualify for the vaccine study—a minimum score of 16 was required. We were very disappointed, but were advised that we could come back another time to try again, since he met all of the other criteria. We made an appointment in mid-May 2008 in St. Petersburg, Florida to screen Steve for an Eli Lilly gamma-secretase inhibitor and made another appointment for Steve to be screened for entry into the Elan study at USF the following day. The evening before the first screening in St. Pete, I researched the two drugs to help us decide which drug to choose, should he qualify for both studies. I came across another drug, Ketasyn, or AC-1202, that was also recruiting healthy older people to test the tolerability of three different formulations. Investigating further, I learned that this treatment brought about significant improvement over a 90 day period in about half of the subjects who had a certain genetic profile (APOE2 or APOE3.) The APOE4 group remained about the same, whereas the controls (people taking the placebo) continued to show decline. The results were even more impressive for people who were already taking certain Alzheimer's medications. In a pilot study, some people improved on memory testing with the very first dose. Upon doing an internet search for Ketasyn, I found a January 2008 patent application (see www.freepatentsonline.com ,)10 a continuation of a 2000 application, 75 pages long, with a well-written and thorough description of the science of Alzheimer's disease and description of the "invention," including these study results and numerous potential formulations in combination with other substances that may enhance its effect. I learned that the promising "ingredient" in Ketasyn is simply MCT oil, and that a dose of 20 grams (about 20 ml or 4 teaspoons) was used to produce these results. The MCT oil that these researchers used was obtained from Stepan Company and consists of primarily 6 and 8 carbon chains, however they state that MCT of any combination of medium chains (6 to 12 carbon chains are medium chain) would also be effective. Just once in this application, the author mentions that MCT oil is derived from coconut or palm oil. The largest producer of coconut oil is the Philippines, where coconut and its oil are food staples, and it is also produced in India, Thailand, and other parts of southeast Asia, the Caribbean islands and even in south Florida. The Philippines has one of the lowest incidences of cardiovascular disease in the world. Studies have shown that cholesterol LDL to HDL ratio improves with non-hydrogenated coconut oil. 14, 15, 16, 17 The people in this part of the world also eat fish regularly, providing them with omega-3 fatty acids, which probably contributes as well to the lack of cardiovascular disease. My nurse friends from the Philippines tell me that many of their relatives back home cook everything in coconut oil and have coconut in one form or another at nearly every meal. I have also learned that after coconut and palm kernel oil, the food that medium chain triglycerides are most concentrated in is human breast milk. 12 It is also found in smaller concentrations in goat and cow's milk, as well as the butters from these milks. In fact, we used to add MCT oil 20-25 years ago to premature formulas to add calories, and MCT, coconut and palm oils are currently added to premature and full term infant formulas, along with ARA and DHA to mimic breast milk. Back to Steve, it was too late to find coconut oil before the first screening. On the way, I reminded him repeatedly that we were in St. Petersburg, in Pinellas County. On the MMSE, he remembered the city but not the county, and he couldn't remember the season, the month or day of the week, much less the date, even though he had to initial and date numerous pages of consent forms before the MMSE. He had to be reminded on every single page where to initial and what the date was and even how to write out the date. He scored a 14, too low for entry into the study. 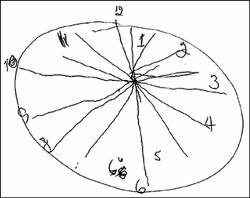 Dr. Margarita Nunez spent considerable time with us and asked Steve to draw a clock (see clock #1), which she said was a specific test for Alzheimer's. She took me aside and told me that his "clock" indicated he was leaning more towards severe than moderate AD, a devastating but not surprising revelation to me, considering that I am his wife of 36 years and now his caretaker. Thinking, "What have we got to lose?" we stopped at a health food store on the way home and picked up a quart of 100% "virgin" coconut oil. I calculated that in order to provide 20 gm of MCT, he would need to take 35 grams or just over two tablespoons (about 35 ml or 7 level teaspoons) of coconut oil. The following morning, around 9 A.M., I made oatmeal for breakfast and stirred two tablespoons, plus more for "good luck," into his portion. I had some as well, since I cannot expect him to eat something that I won't eat. On the way to the 1:00 P.M. screening, I tried to prepare Steve by asking him the season, the month, the day of the week, reminding him that we were going to Tampa, in Hillsborough county. He couldn't remember the word "spring," came up with April instead of May for the month every time I asked him and he couldn't remember it was Wednesday. During the hour long drive, we went through these facts at least 10 times, but he still couldn't remember. Shortly after we arrived he was whisked away for the test, about 4 ½ hours after consuming the coconut oil. When he returned, he was very unhappy about his performance. Laura, the research coordinator, returned shortly thereafter and began to take his vital signs and blood pressure, and, suspecting that we were continuing with the screening process, I asked her if she could share his score with us. She said, "Didn't he tell you? He scored an 18!" more than he needed to qualify for the vaccine study. He remembered it was spring, it was May, it was Wednesday, that he was in Tampa, in Hillsborough county and that we were at the Byrd Institute, all points that he missed on the previous attempt at USF. As a result of the screening, we learned that he is positive for APOE4 but do not know at this time if he has one or two copies. According to the Ketasyn studies, Steve should not have improved, but rather he should have stayed about the same. Since then he has retested for the Eli Lilly study drug, now available closer to home and scored an MMSE of 17 - he even remembered the date of July 2, 2008 this time. We have decided, after looking at the potential side effects of the vaccine for APOE4+ people, to go with the Eli Lilly drug. house and in the yard and stay on task, whereas before coconut oil he was easily distractible and rarely accomplished anything unless I supervised him directly, a source of some contention between us! 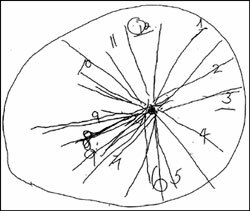 After about two weeks, and again at 37 days, after starting the coconut oil, I asked him to draw a clock (see Clocks #2 and #3.) There is an obvious marked improvement. I promise that I did not help him. 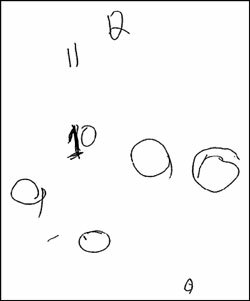 He tells me that he could not even picture a clock at the St. Pete screening, but with the last two attempts, he was very concerned that the 6 was opposite the 12 and the 9 opposite the 3 on the face of the clock. He drew "spokes" to help them line up. I did not ask him to try to put in a time, the next part of that test. Steve has not been able to type for at least two years, but he feels that he can picture the position of the letters on the keyboard. At this point he is afraid to sit down and try to type, worried that he will be discouraged if it doesn't come back right away. We are considering trying occupational therapy to see if he can relearn some of the skills he has lost. I cannot explain why he has improved, except that perhaps the 10 and 12 carbon chains are important, or the APOE4 people in the Ketasyn studies were not taking omega-3 fatty acids. We eat salmon at least twice a week and take fish oil supplements twice a day and have for at least the past two years. days after starting coconut oil. Beta-hydroxybutyrate is the primary ketone body that is the end product of fatty acid metabolism and appears to protect neurons when glucose is not available. 20 Dr. Veech can make an ester form of beta-hydroxybutyrate in his lab from MCT oil that can be taken orally and converted to energy by neurons and other cells. Potentially, higher levels of ketone bodies could be obtained by ingesting beta-hydroxybutyrate directly. He has done studies on animals, but needs to produce this in quantity to be able to do human studies. He could start testing this year, if only he had the funding. He needs $15 million to build a plant to produce his beta-hydroxybutyrate. That is a lot of money, but not so much if you consider that it is $1.00 for every person that is expected to have Alzheimer's disease by the year 2050. We visited Cincinnati at the end of June and all of my family and Steve's family noticed a very significant difference in how he interacted with them socially compared to a year ago. Instead of looking lost, he was involved and interested in what they had to say. He recognized relatives (brothers-in-law, nieces and nephews) by name immediately that were unfamiliar to him a year ago. His facial expression was more animated. He participated actively in conversations, understood jokes immediately and even came up with his own humorous comments. He still had difficulty finding some words, but he was talking in sentences and even stringing sentences together. In the morning he would come to the kitchen and ask me to walk the "big hill" with him before breakfast to get some exercise. He is a very different person than he was a year ago and perhaps even two or three years ago. He has serious atrophy of his brain and will never be "normal," but for now we are very pleased with where he is at and, should coconut oil stop or slow down the progress of his disease, it will be worth every drop that he takes. My sister Lois told a lady she works with about the coconut oil and Steve's response to it. Her father began to give this to her mother, who has Alzheimer's and she has had a similar response, with more alertness, conversation and sense of humor. Until Ketasyn is available, and until Dr. Veech's beta-hydroxybutyrate is tested and available for use, this simple dietary change could make a difference for people who believe they are at risk and for those who already have one of these diseases. To duplicate the dose of MCT taken in the Ketasyn study, about 7 level teaspoons should be taken at one time, once a day, which should circulate ketone bodies for about 24 hours. I do not know if it is necessary to take this much at one time or if the dosage could be spread out over the course of the day. Studies obviously need to be done to determine this. We actually give this amount to Steve at least twice a day to make sure that there are no periods without ketone bodies circulating. The amounts we are taking would not be excessive in areas of the world where coconut is a staple. Some people may experience a sense of "fullness" or even have diarrhea after taking this much to start, but this problem can be reduced by starting with one or two teaspoons and increasing over a week or so to the full amount. We put it in oatmeal, combine it with salad dressings, use it to cook with and put it on anything that one would normally put butter on, such as potatoes, sweet potatoes, rice, or noodles. Coconut ice cream can be purchased at Asian stores, is loaded with coconut oil, and is the most pleasant way I can think of to make ketone bodies. Likewise, coconut milk is a combination of coconut oil and coconut water and can be found in the Asian and condensed milk sections of many grocery stores. It is a pleasant substitute for milk, and can be added instead of milk, for example, to make scrambled eggs, French toast, and mashed potatoes. You can figure out portion sizes of various combinations of foods containing coconut and coconut oil equivalent to 35 grams of fat. If you are using any type of hydrogenated vegetable oil or any oil with transfat, do not use any more and get rid of it! Extra virgin olive oil, butter and other natural, non-hydrogenated oils are okay to use along with the coconut oil. It is possible to use coconut oil in place of all other oils, however, since it contains no omega-3 fatty acids, it is very important to eat salmon twice a week or get enough omega-3 fatty acid from other rich sources such as fish oil capsules, flax meal, flax oil (not for cooking), or walnuts. It is inconceivable that a potential dietary prevention and cure for Alzheimer's disease and other neurodegenerative diseases, has been out there for so many years, and yet has gone unnoticed. It is very likely that these diseases are becoming more prevalent due our current diet. The American diet has changed drastically from what it was before the 1950's, when our parents and grandparents used lard and coconut oil to cook. Cardiovascular disease was rare at the beginning of the 20th century and has skyrocketed along with other devastating diseases, such as Alzheimer's, diabetes type II, and obesity, since mass produced hydrogenated vegetable oils containing trans fats were introduced into our diets and replaced these other natural fats. Sadly, the incidences of cardiovascular and other serious diseases are becoming more and more common among people in other areas of the world who have changed over from their indigenous foods to the "western" diet. I plan to tell everyone I can and get this information to persons in positions to investigate this and perhaps get funding for Dr. Veech. Feel free to make copies and pass this write-up on. If you have a loved one or a patient with Alzheimer's or one of these other degenerative neurologic diseases, consider trying coconut oil. Dr. Veech suggests that, if possible, a videotape of the person before starting and at various points after starting the coconut oil would be very useful to document change. He suggests including segments of the persons face, speech, and gait (walking.) He also advises to have ketone bodies measured. "Ketoacids? Good Medicine?" George F. Cahill, Jr., Richard L. Veech, Transactions of the American Clinical and Climatological Association, Vol. 114, 2003.
" The therapaeutic implications of ketone bodies: the effects of ketone bodies in pathological conditions: ketosis, ketogenic diet, redox states, insulin resistance, and mitochondrial metabolism," Richard L. Veech, Prostaglandins, Leukotrienes and Essential Fatty Acids, 70 (2004) 309-319. "Diminished glucose transport and phosphorylation in Alzheimer's Disease determined by dynamic FDG-PET," M Piert, et.al., The Journal of Nuclear Medicine, Vol.37 No.2, February 1996, 201-208. "Glucose metabolism in early onset versus late onset Alzheimer's Disease: an SPM analysis of 120 patients," EJ Kim, et. 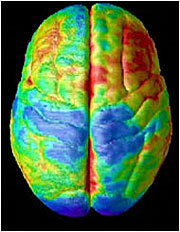 al., Brain, 2005, Vol. 128, 1790-1801. "Cerebral glucose metabolism in Parkinson's disease with and without dementia," RF Peppard, et.al., Archives of Neurology, Vol. 49 No.12, December 1992. "Cortical and subcortical glucose consumption measured by PET in patients with Huntington's disease," Brain, October 1990, Vol 113, part 5, 1405-23. "Reduced glucose metabolism in the frontal cortex and basal ganglia of multiple sclerosis patients with fatigue: a 18F-fluorodeoxyglucose positron emission tomography study," U Roelcke, et. al., Neurology, 1997, Vol. 48, Issue 6, 1566-1571. "ALS-linked Cu/Zn-SOD mutation impairs cerebral synaptic glucose and glutamate transport and exacerbates ischemic brain injury," Z Guo, et. al., Journal of Cerebral Blood Flow Metabolism, March 2000, Vol. 20 No. 3, 463-8. "Combinations of medium chain triglycerides and therapeutic agents for the treatment and prevention of Alzheimer's disease and other diseases resulting from reduced neuronal metabolism," United States Patent 20080009467, Inventor Samuel T. Henderson, Accera, Inc., Broomfield, Colorado (Ketasyn). Nutrient analysis of coconut oil (vegetable), NDB No: 04047 — USDA Food Composition Database . "Lipids in (human) milk and the first steps in their digestion," M Hamosh, et. al., Pediatrics, 1985, Vol. 75, 146-150. "Nutritional factors and serum lipid levels," EH Ahrens, American Journal of Medicine, 1957, vol. 23, 928 (used hydrogenated coconut oil). "Trans fatty acids and coronary artery disease," NEJM, 1999, Vol. 340, 1994-1998. "Effect of mixed fat formula feeding on serum cholesterol level in man," SA Hashim, American Journal of Clinical Nutrition, 1959, Vol. 7, 30-34. "Modified-fat dietary management of the young male with coronary disease: a five-year report," JL Bierenbaum, JAMA, 1967, Vol. 202, 1119-1123. "Cholesterol, coconuts and diet in Polynesian atolls-a natural experiment; the Pukapuka and Toklau island studies," IA Prior, American Journal of Clinical Nutrition, 1981, Vol. 34, 1552-1561. "Changes in cerebral blood flow and carbohydrate metabolism during acute hyperketonemia," S.G. Hasselbalch, et.al, Am J Physiol, 1996, Vol. 270, E746-51. "Effect of hyperketonemia and hyperlacticacidemia on symptoms, cognitive dysfunction, and counterregulatory hormone responses during hypoglycemia in normal humans," T. Veneman, et. al., Diabetes 43:1311-7 (1994). "D-b-Hydroxybutyrate protects neurons in models of Alzheimer's and Parkinson's disease," Y Kashiwaya, et. al. including RL Veech, PNAS, May 9, 2000, Vol. 97 No. 10, 5440-5444. "High carbohydrate diets and Alzheimer's disease," Samuel T. Henderson, Medical Hypotheses, 2004, Vol 62, 689-700 (Another article of interest). "Effects of b-Hydroxybutyrate on cognition in memory-impaired adults," MA Reger, ST Henderson, et. al., Neurobiology of Aging, 2004, Vol. 25, 311-314. "Breastfeeding, infant formula supplementation, and Autistic Disorder: the results of a parent survey," ST Schultz, et. al., International Breastfeeding Journal, 2006, Vol. 1 No. 16. "That sounds ridiculous," exclaimed Rick in disbelief. "It will never work. How could it? It doesn't make any sense." Rick suffered from chronic sinusitis. At night when lying down, his nose would stop up, making it difficult for him to breathe and to sleep. The congestion also caused him to experience frequent headaches. A few days later, Rick called me on the phone. "Wow! This oil pulling stuff really works," he exclaimed. "My sinuses began to drain immediately. I expelled a lot of dark yellow, gross looking mucus. I'm breathing easier and sleeping better and my headaches are gone!" I wasn't surprised with Rick's success. I hear many similar responses from others with various health problems. "I was skeptical at first," says Cynthia. "I couldn't see how swishing oil in my mouth could help with my arthritis. After eight days I noticed the pain in my hands diminished considerably. There was also marked improvement in my neck and I could move my head from side to side without any pain. I was amazed at how quickly I got results. I haven't felt this good in a long time!" Some people think I'm crazy when I tell them that oil pulling can help those with asthma, allergies, chronic fatigue, diabetes, migraine headaches, PMS, and chronic skin problems. Oil pulling works by detoxifying or cleansing the body. In this way, disease promoting toxins are removed, thus allowing the body to heal itself. As a consequence, health problems of all types improve. "I've suffered for several years with joint and lower back pain," says Anna. "Every morning it was difficult getting out of bed because the pain. After two months of oil pulling the pain is all but gone. I'm amazed. Although I began oil pulling to relieve the joint pain, a few other things happened that I didn't expect. I'm surprised to see that the eczema on my arm and hand [is] disappearing and my skin becoming smoother and softer. Nothing I had tried before had helped. I sleep better at night too, so I have more energy during the day. I no longer need my mid-day naps. I have so much energy I almost feel like a teenager again. My periods have become more regular with less cramping and less mood swings. Also, my teeth, gums, and tongue are cleaner than they've ever been." "I had a really bad infection in my mouth," says Brittany. "It was so painful that I could not sleep. Pain medication helped temporarily. I was sure that I needed another root canal. After hearing about oil pulling I decided to give it a try before going to the dentist. I began oil pulling three times a day. By the very next day the pain was gone! No soreness, nothing. I was shocked. I continue to oil pull and my teeth are whiter and healthier looking then they have ever been. My gums have stopped bleeding, they used to bleed after every brushing. They are no longer receding and my teeth feel tighter. On my last visit to the dentist he was amazed at how much better my teeth and gums looked. He told me to continue to do whatever I was doing." Oil pulling traces its roots to oil gargling practiced in Ayurvedic medicine. Oil pulling as we know it today was introduced in 1992 by Dr. F. Karach, MD. Dr. Karach claimed that oil pulling could cure a variety of illnesses ranging from heart disease and digestive troubles to hormonal disorders. He said it cured him of a chronic blood disorder of 15 years duration and within three days cured his arthritis, which at times was so painful he was bedridden. He used the method in his medical practice with great success. 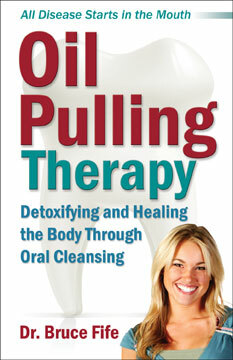 Dr. Karach's method of oil pulling consists of swishing, not gargling, vegetable oil in the mouth. The oil is "worked" in the mouth by pushing, pulling, and drawing it through the teeth for a period of 15 to 20 minutes. It is done one to three times a day on an empty stomach. The best time is in the morning before eating breakfast, but it can be done before any meal. The used oil is discarded and the mouth rinsed out with water. The oil is never swallowed because it is loaded with bacteria, toxins, pus, and mucus. The oil acts like a cleanser. When you put it in your mouth and work it around your teeth and gums it "pulls" out bacteria and other debris. It acts much like the oil you put in your car engine. The oil picks up dirt and grime. When you drain the oil, it pulls out the dirt and grime with it, leaving the engine relatively clean. Consequently, the engine runs more smoothly and lasts longer. Likewise, when we expel harmful substances from our bodies our health is improved and we run smoother and last longer. As simple as it is, oil pulling has a very powerful detoxifying effect. Our mouths are the home to billions of bacteria, viruses, fungi, and other parasites and their toxins. Candida and streptococcus are common residents in our mouths. It is these types of germs and their toxic waste products that cause gum disease and tooth decay and contribute to many other health problems, including arthritis and heart disease. Our immune system is constantly fighting these troublemakers. If our immune system becomes overloaded or burdened by excessive stress, poor diet, environmental toxins, and such, these organisms can spread throughout the body, causing secondary infections and chronic inflammation, leading to any number of health problems. Toxins are pulled from the body the very first time you try it. One of the first cleansing symptoms you will experience is an increased flow of mucous from your throat and sinuses. Mucus drainage is one of the body's methods of removing toxins. While you are pulling, mucus may build in the back of your throat. You may even have to expel the oil and clear the mucus from your throat before reaching a full 20 minutes. That's okay, take another spoonful of oil and continue until you've pulled for a total of 15-20 minutes. You may also experience a little nausea and perhaps even need to vomit as your body expels toxic waste. Other symptoms may also arise temporarily. These symptoms will subside as your body becomes cleaner and you become more comfortable with oil pulling. Unlike other methods of detoxification that last for only a short time, oil pulling should become a regular part of your daily schedule, like brushing your teeth. medicated coconut oil (which you can make yourself), diet, select nutrients, oral pH balancing procedures, and, for those who have amalgam (mercury) fillings or metal crowns, a detox procedure designed specifically for removing heavy metals, all of which combine to greatly enhance the effects and healing properties of oil pulling. The details of this program are covered in my new book Oil Pulling Therapy: Detoxifying and Healing the Body Through Oral Cleansing. Editor's note: The following article was based on a recent article written by John Tierney in the New York Times. The article appeared as a response to a recent study that demonstrated that a low-carb diet was more effective than either a low-fat or Mediterranean diet in reducing excess weight and improving blood cholesterol levels. This study is just one of many that have appeared in medical journals over the past few years, all of which produced similar results. Should we be reconsidering the conventional wisdom on saturated fat? Yes, according to Gary Taubes's interpretation of the new report in The New England Journal of Medicine (July, 17, 2008) on a two-year diet experiment in Israel. This study set off a debate on whether the low-carb diet is better than the other diets. Many people claimed the difference in weight loss was insignificant and that the low-carbohydrate diet isn't really any better than the other two. However if you look at the data, there is a completely different story being told. Those in low-carbohydrate diet group lost almost twice as much as those in the low-fat group and they did it without dieting! They were able to eat as much as they wanted. The low-fat group, on the other hand, had to restrict their calorie intake. So on a weight loss standpoint there really is no comparison between the three diets. Even the Mediterranean dieters had to restrict their calorie intake and still didn't fair as well as the low-carbers. These trials are fundamentally tests of the hypothesis that saturated fat is bad for cholesterol and bad for the heart. They're not just about which diet works best for weight loss or is healthiest, but what constitutes a healthy diet, period. Specifically, these low-fat/low-carb diet trials, of which there are now more than half a dozen, test American Heart Association (AHA) relatively low-fat diets against Atkins-like high-saturated-fat diets. In this last test, the AHA diet was about 30 percent calories from fat, less than 10 percent calories from saturated fat; the low-carb diet was almost 40 percent calories from fat, around 12.5 percent saturated fat. In this particular trial, as in all of them so far, the high-saturated-fat diet (low-carb or Atkins-like) resulted in the best improvement in cholesterol profile — total cholesterol/HDL. In this Israeli trial, the high-saturated-fat diet reduced LDL. at least as well as the did the AHA relatively low-fat diet, the fundamental purpose of which is to lower LDL by reducing the saturated fat content. So here's the simple question and the point: how can saturated fat be bad for us if a high saturated fat diet lowers LDL at least as well as a diet that has 20 to 25 percent less saturated fat? It could be argued (and probably will be) that the effect of the saturated fat is confounded by the reduction in calories, but the AHA diet also reduces calories and, in fact, specifies caloric reduction while the low-carb diet does not. It will also be argued, as Dean Ornish does, that the source of the saturated fat was not necessarily meat or bacon, but beans or other healthy sources. But the nutritional reason why meat has been vilified over the years is that it's a source of unhealthy saturated fat. It's not that meat per se is bad — unless you buy the colon cancer evidence, which has always seemed dubious — it's that the saturated fat in meat makes it bad. So the argument about the source of the saturated fat is irrelevant. The question hinges on whether saturated fat raises cholesterol and causes heart disease. One way or the other, this trial is a test of that hypothesis. It's arguably the best such trial ever done and the most rigorous. To me that's always been the story. If saturated fat is bad for us, than these trials should demonstrate it. They imply the opposite. Why does the AHA continue to insist that saturated fat should be avoided if these trials repeatedly show that high saturated fat diets lead to better cholesterol profiles than low-saturated fat diets? And how many of these trials have to be done before the National Institutes of Health or some other august institution in this business re-assesses this question? After all, the reason the food guide pyramid suggests we eat things like butter and lard and meats sparingly (and puts them high up in the pyramid) is that they contain saturated fat. This is also the reason that the AHA wants to lower even further what's considered the safe limit for saturated fats in the diet. Is Mr. Taubes right? If eating more saturated fat improved the dieters' cholesterol profile (while also enabling them to lose weight even though their calories were not restricted), should the federal government and the American Heart Association stop warning people about saturated fats? Just weeks before the above article appeared in the New York Times the American Academy of Pediatrics released its new guidelines on cholesterol, recommending low-fat diets for children as young as 1 year and suggesting children be started on cholesterol-lowering drugs as early as 8 years of age to treat and prevent obesity and high cholesterol. Too often the medical approach is to treat people with drugs, and if that doesn't work give them more drugs, and if the drugs still don't work, then put people on drugs at earlier and earlier ages. We have been trying the low-fat, low-cholesterol approach to weight loss, heart disease, and overall health for over a quarter of a century now with dismal results. We are getting fatter and cholesterol rates are as high as ever. Study after study shows that low-carb, moderate to high fat diets are superior for overall health and weight loss. If low-fat, low-saturated fat, and low-cholesterol diets are inferior to low-carbohydrate, high-saturated fat, and high-cholesterol diet, as the studies are saying, why is the American Academy of Pediatrics pushing to put children on drugs? Is there a reason why they would recommend drugs over a simple proven dietary approach? Who stands to benefit most from drugging our children? Obviously, the answer to that question is the drug companies and their supporters. In case you missed the announcement by the American Academy of Pediatrics, below is an article reprinted from The New York Times. The nation's pediatricians are recommending wider cholesterol screening for children and more aggressive use of cholesterol-lowering drugs starting as early as the age of 8 in hopes of preventing adult heart problems. The new guidelines were to be issued by the American Academy of Pediatrics on Monday (July 7, 2008). The push to aggressively screen and medicate for high cholesterol in children is certain to create controversy amid a continuing debate about the use of prescription drugs in children as well as the best approaches to ward off heart disease in adults. But proponents say there is growing evidence that the first signs of heart disease show up in childhood, and with 30 percent of the nation's children overweight or obese, many doctors fear that a rash of early heart attacks and diabetes is on the horizon as these children grow up. "We are in an epidemic," said Dr. Jatinder Bhatia, a member of the academy's nutrition committee who is a professor and chief of neonatology at the Medical College of Georgia in Augusta. "The risk of giving statins at a lower age is less than the benefit you're going to get out of it." Dr. Bhatia said that although there was not "a whole lot" of data on pediatric use of cholesterol-lowering drugs, recent research showed that the drugs were generally safe for children. It is not clear how many children would be affected by the new guidelines. The recommendations call for cholesterol screening of children and adolescents, starting as early as the age of 2 and no later than the age of 10 if they come from families with a history of high cholesterol or heart attacks before 55 for men and 65 for women. Screening is also recommended for children when family history is unknown, or if they have other risk factors, like being at or above the 85th percentile for weight, or having diabetes. If the child's cholesterol level is normal, retesting is suggested in three to five years. Although lifestyle changes are still recommended as the first course of action, drug treatment should be considered for children 8 years and older who have bad cholesterol of 190 milligrams per deciliter as when cholesterol reaches 160 in children who also have a family history of early heart disease or two additional risk factors, the new recommendations say. Children with diabetes may be considered for drug treatment when cholesterol reaches 130 mg/dL. The guidelines give no guidance on how long a child should stay on drug treatment. But they do say the first goal should be to lower bad cholesterol levels to less than 160 milligrams or possibly as low as 110 milligrams in children with a strong family history of heart disease or other risk factors like obesity. The academy also now recommends giving children low-fat milk after 12 months if a doctor is concerned about future weight problems. Although children need fat for brain development*, the group says that because children often consume so much fat, low-fat milk is now appropriate. Do you have friends who would like this newsletter? If so, please feel free to share this newsletter with them. If this newsletter was forwarded to you by a friend and you would like to subscribe, click here. Copyright © 2008, Bruce Fife. All rights reserved.